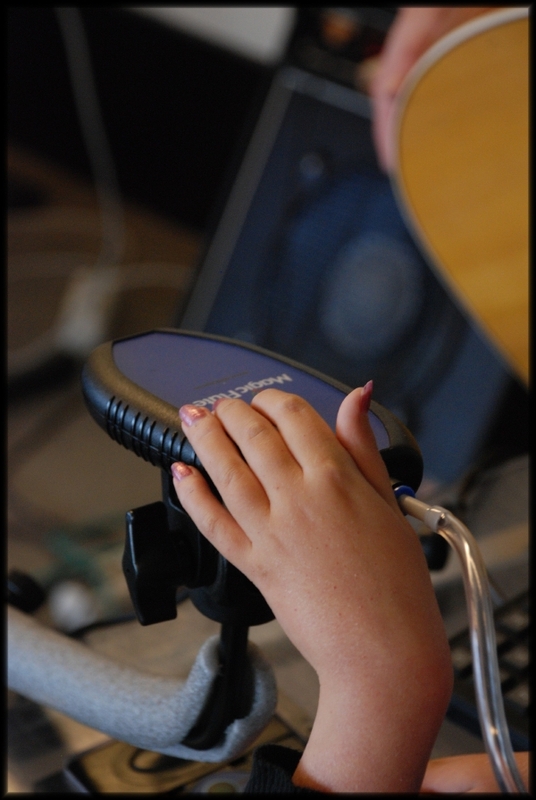 I go to a school for disabled children. I am now in the fifth grade of high school. I was born with Merosin-deficient congenital musculair dystrophy. Because of this my muscles and my body are weak and floppy. I am in an electric wheelchair. I am fed through a tube, but I can eat sweets. At night I am ventilated by V- PAP. This is a mouthpiece that blows air into my lungs. I also wear splints on my hands at night. I like chatting to my friends on the internet. I also enjoy Hyves. 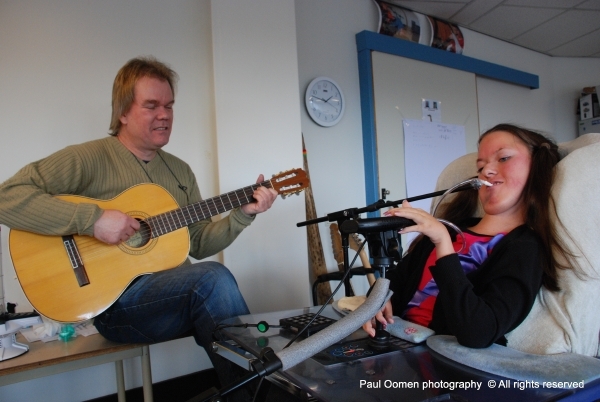 Seven years ago I started playing the Yamaha WX5 during respiratory therapy with Ruud. It took us a long time to work out how I could best play the instrument. We tried all sorts of things. Especially how to get my hands onto the keys. It finally worked when we used a straw instead of a mouthpiece. Recently I switched to playing the Magic Flute. 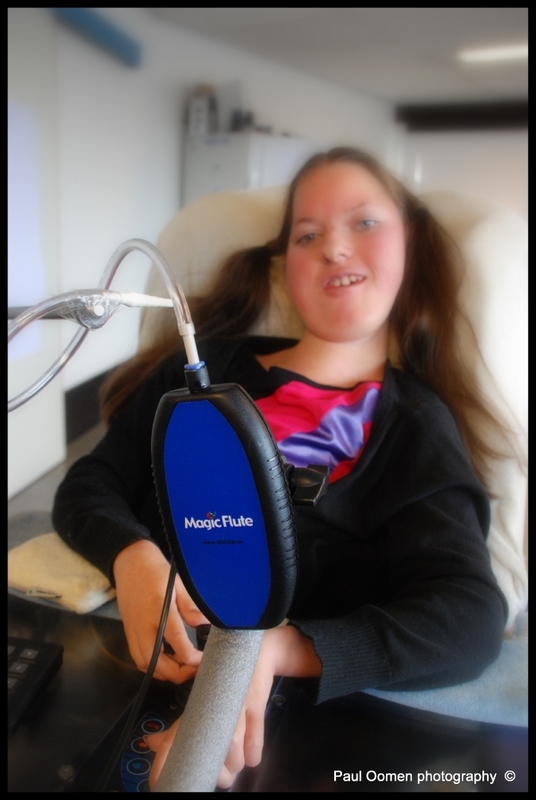 This is because I can play the Magic Flute a lot faster and it’s easier for me to use. I have already performed several times. I got nice comments. I like to make music. The Magic Flute is the only instrument I can play.